David Lee Scher is pharmaphorum’s latest interviewee in our monthly ‘physician perspectives’ series, discussing social media, mobile health, clinical trials, patients and what the future looks like for pharma. Here he speaks with pharmaphorum’s Hannah Blake. Our latest physician interview is with David Lee Scher, who has over 25 years of clinical medical experience as well as 13 years’ experience in remote patient monitoring and mobile health. David is also active in the social media space, especially on Twitter using the hashtags #digitalhealth, #mhealth and #hcsm, where he discusses digital health and social media issues within pharma and healthcare. You can find him tweeting here: @dlschermd. We speak with David to find out his thoughts on the rise in mobile health apps, social media usage by pharma companies and what he believes the future will hold for both pharma and for patients. HB: Hello David, thanks for speaking with me today. So your current role is as a digital health technology consultant, but I understand you have over 25 years of clinical medical experience. What inspired you to make this transition? DLS: I was a cardiac electrophysiologist (a cardiologist trained in a subspecialty which involves the diagnosis and treatment of cardiac rhythm disorders), and in doing so was exposed to early technologies regarding remote patient monitoring. In 2000, I was a pioneer adopter and one of the first physicians in the world to utilise remote patient monitoring in implantable cardiac rhythm devices such as implantable defibrillators. I subsequently became very much involved in other aspects of remote patient monitoring, specifically how patients adopted it and the adoption barriers. I was involved in getting this technology reimbursed by payers in the United States. I left medicine to go into digital technologies as a consultant, because I found it so much more interesting, and challenging with regard to its potential impact on many more patients than I was treating as just a physician. HB: One of your biggest areas of interest is mobile health, why do you think there’s been an outburst of mobile health apps within the pharma and healthcare industries in recent years? DLS: The interest in mobile health in the area of pharma just reflects the growing interest of mobile health in the healthcare ecosystem in general. Pharma is under the same pressures as other stakeholders in healthcare, namely increased costs. However, they have unique problems as well, specifically decreasing access to physicians, and increased regulatory issues. Mobile health is a natural way for pharma to maintain and actually increase their access, both to physicians and patients. HB: Do you think all healthcare companies should create mobile health apps? DLS: Absolutely, and I think they are. I think that the adoption is occurring at different paces, but everyone knows that this is something in healthcare that is not a fad, and it it here to stay. HB: In your opinion, what does the ideal mobile health strategy look like? DLS: I think the ideal strategy first of all starts in the development process. The most ideal development needs to keep in mind the the end user of the technology and consider what problem does that person have that this technology is going to solve? I also think that the development needs to involve a clinician who is familiar with the workflow of that technology and where it fits into a patient’s daily life. In addition, it needs to take into account the user experience, which is how this technology actually looks on the smartphone or mobile device, and how it’s used. In my opinion, the best strategy pharma can adopt is by partnering with the best developers outside of the company, and not necessarily hire their own developers to do it. Pharma companies are not IT companies. But an overall strategy also involves using the technology as an education tool, not specifically a pure marketing tool for the drug. In other words, using it for disease awareness and to change a patient’s lifestyle for the better. HB: As well as mobile health apps, social media is also important as a tool of communication for both the pharma industry and patients. What’s your main piece of advice for companies implementing a social media strategy? DLS: I think that up until now pharma has not done any justice with regard to social media, and understandably so. They were waiting for regulatory standards to come out with regard to that, but these standards have been out for a while now, and as I am very active in social media, in my opinion what I’ve seen is really not anything that is worthwhile. For example, most pharma companies utilise Twitter for either current events, or things like ‘it’s a nice day out’ and ‘let’s go out and play’ – it has nothing to do with potentially what they can offer patients and providers. Pharma really should be utilising social media channels for disease awareness, for things that not necessarily push one specific product, and I am a firm believer that a rising tide will float all ships. First of all, to be involved in social media costs almost nothing. Certainly you need a social media person, but the act of doing it is very cheap. The argument that many pharmaceutical&nbsp, or device companies had with regard to clinical trials was they didn’t want to pay tens of millions of dollars for clinical trials, believing that once they get the indication another company with a similar product would benefit from that.&nbsp, I don’t subscribe to that kind of philosophy. If companies’ mission statements are to help patients and they have a good product then they will benefit. Nobody should operate from a viewpoint that because it might benefit a competitor to some degree that they shouldn’t invest in patients. My main point is that I don’t think that pharma is utilising social media to any significant extent, and certainly not to the extent with regard to quality that they should be. HB: What are your thoughts on the pharma industry crowd sourcing for healthcare studies through organisations such as PatientsLikeMe? DLS: It’s not only admirable, I think it’s going to be imperative. I don’t think that necessarily crowd-sourced studies are the only way to gather big kinds of information. Using mobile health technologies instead of clinical research organisations is probably just as good in so much as they will be able to recruit vast amounts of patients at one time, they can get real-time adverse events, they will be able to geographically deal with patients that they couldn’t before, and that certainly is not total crowd sourcing, but it’s much more expansive than what exists today. Also, they will be collecting real-time results, such that the amount of time of the whole study will be cut significantly. Organisations such as PatientsLikeMe are really the future of medicine. There are certain issues with crowd-sourced studies, from a potentially regulatory standpoint, but they have been dealt with before, and I think that there will be other issues. But I really do believe that these are ways in which we can truly garner information from many different populations. As someone who has performed clinical studies for over 20 years I can tell you that there are significant biases with regard to the recruitment of patients, and therefore the results. There are certainly studies which show that a significant portion of what we call evidence-based studies are no longer valid, and a lot of them are no longer standards with regard to absolute proof that something should be done. So I am very encouraged, and look forward to crowd-sourced studies being a significant part of pharma in the future, especially with regard to the development of drugs which are precision made genetically-tailored drugs and therapies. HB: Finally, in your opinion, how will mobile health and social media’s role within the healthcare industry continue to evolve? DLS: I hope that pharma gets more involved with patients and patient advocacy groups. Patient key opinion leaders are today as important as physician key opinion leaders and I think that pharma has to start thinking in ways which are less provider focused. I think that pharma, and medical device companies, have to stop thinking of physicians as their customers and start thinking of patients as their customers. By that, I don’t mean direct to consumer marketing, I mean the focus of the way in which they for example think about medication adherence, and strategies in general. HB: Thank you very much for speaking with me today, David. David Lee Scher, MD brings his experiences as a former cardiac electrophysiologist (over 20 years), medical device industry consultant and key opinion leader in advising clients on best products, business development practices, and adoption of mobile health technologies. He advises digital health tech companies and their clients, partners, and investors. Dr. Scher’s experience as a medical device clinical trial investigator, Human Research Subject Committee Chair, and Medicare Carrier Advisory Committee cardiology representative gives him a unique perspective on technology development, testing, regulatory and reimbursement issues. Dr. Scher was a pioneer adopter of implantable cardiac rhythm device remote patient monitoring in 2000, and instrumental in its adoption and reimbursement. Scher is also Senior Medical Advisor at Happtique. As Chair of Happtique’s Blue Ribbon Panel, he oversaw the development of standards for the certification of health and medical apps which will be applied in Happtique’s App Certification Program. Dr. Scher’s blog, The Digital Health Corner is one of the most followed and respected in the field of mobile health. 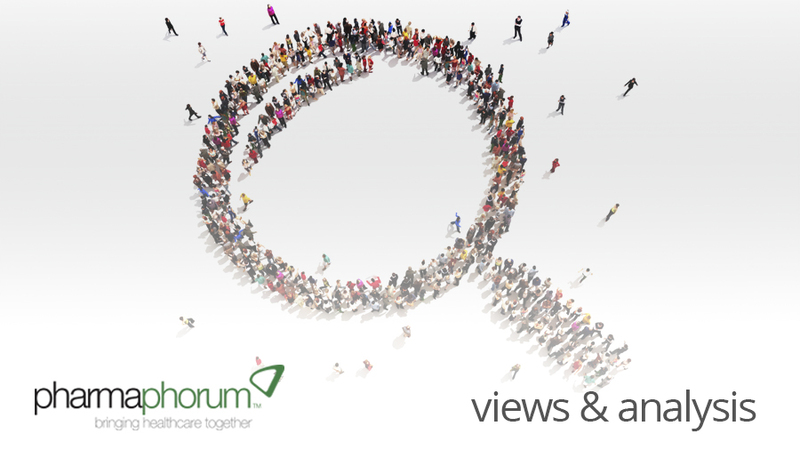 What are your thoughts on the pharma industry crowd sourcing for healthcare studies?